When I began Back of the Room Productions, I did a ton of research to see if there was anyone else in this world who offered graphic design and information products to speakers specifically for the back of the room. I could not find a single individual or company. There were companies who did printing and fulfillment for speakers but they did not offer brand positioning or packages of products in the way that I did. I launched the Speaker Briefcase, a product package of Back of the Room Productions, in March 2011 in Las Vegas at a networking event. Everyone I met was excited about my products and packages and said it was a brilliant idea. As I began promoting, people who are legends in the industry took notice and started contacting me out of the blue telling me what a brilliant, fabulous, amazing business I had. I couldn't believe that this business concept wasn't already in existence, and apparently it was not. It was then I realized - I was a category creator and I had no competition! This was a new concept for me. For years, I had been one of hundreds of thousands of graphic designers, competing for business. It seemed every time I tried to land a client, there were ten other designers vying for the same client. At that time I attended a network lunch in Dallas were another graphic designer was attending. I worried about how this guy and I were going to compete for business in this group of 30 or so people. The thought of it caused me great angst. Then one day, this designer, John Simonetta, taught me a valuable lesson. Instead of competing together, we could actually work together. He had strengths that complimented my weakness and I had strengths that complimented his weakness. This was a new concept to me and I latched on! We worked together as a team on many projects over the years. I was fortunate to have met him because he taught me so much. John showed me that there was enough business out there for every designer. There really was no need to view each other as competition because if you missed out on one opportunity another one would open up. He also said that not every prospect is a good fit - if personalities don't mesh or you can't deliver a style they want, then you don't want that job any way. It would create more work and headache than it is worth. It is so easy to fall into the trap of worrying about the competition. For us to be successful we need more clients, to get more clients we need to be better than our competition. Getting upset or anxious because someone is sharing your territory or moving into (which causes me anxiety to this day - though brief) is normal. To lessen these feelings, try looking at it this way: measure yourself against the competition and find ways to improve your business plan and processes. Don't think of it as needing to be better than someone else, instead think of it as being a better you or building a better product or service. 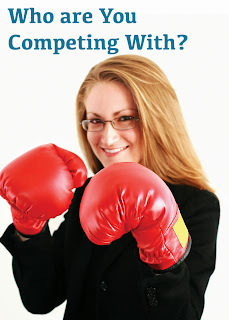 Competition will always be there and there is such a thing as healthy competition. When you recognize it, find ways to improve your customer relations or a process. Find a niche and commit to it. 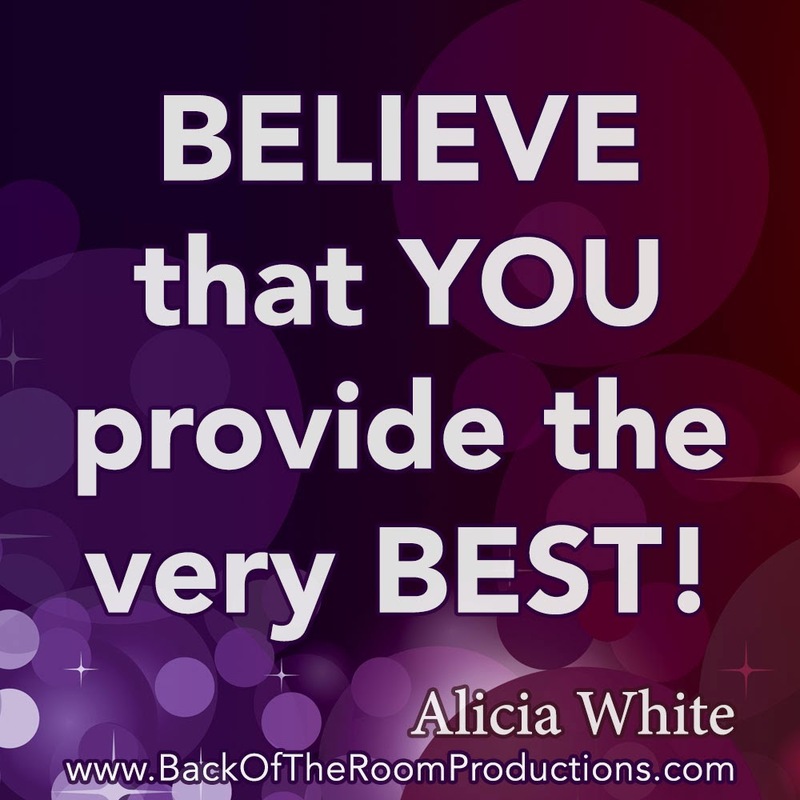 Focus on the fact that you are providing others with value and BELIEVE that YOU provide the very BEST! Are you not getting the results or attention you think you deserve? Then let's get on a phone call and decide if a redesign of your branding or an action plan is needed to start getting prospects your way! 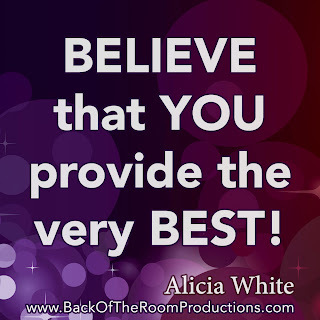 Alicia is the Founder and Creative Director of Back of the Room Productions™ and an international best selling author. She is a two-time award recipient of the Texas Intercollegiate Press Association and Partnering Director of the Public Speakers Association.